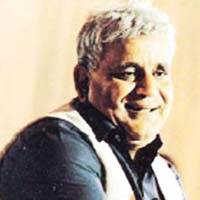 Distinguished Urdu poet of humor, Dilawar Figar had achieved a lot of prominence by proving his mettle in satire, in addition to being intellectual of Pakistan. He is also known as Shahansha-e-Zarafat and Akbar-e-Sani for his parody and wit. He was born as Dilawar Hussain on July 8, 1929 in Badayun India, from where he did his early education and later proceded to the Agra University for his post-graduation in Urdu literature. Additionally, he also did his post-graduation in English and Economics. He was associated with academia and teachings. After partition he migrated to Pakistan and settled in Karachi where he taught Urdu at Haroon College. He also worked for KDA and remained the Assistant Director - Town Planning. Figar began writing in 1942 at the age of 14. He soon got into the company of noted geniuses, viz., Maulvi Jam Nawai Badayuni, Maulana Jami Badayuni. His literary work comprises ghazals, humor and translations. His compilations also include Hadise (Collection of ghazals) and collections of humorous poetry like Sitam Zarifari, Shamat-e-Aamaal, Assar-e-Nau, Unglian Figar Apni, Matla Arz Hai, Khuda Jhoot Na Bulwae and others. He died on January 25, 1998 in Karachi.